Former Aberdeen Grammar coach Kevin Wyness advocates setting up a performance team in the north-east. One of the north-east’s most experienced rugby coaches has spoken of the need for a new “performance team” in the region to stop an exodus of talent. 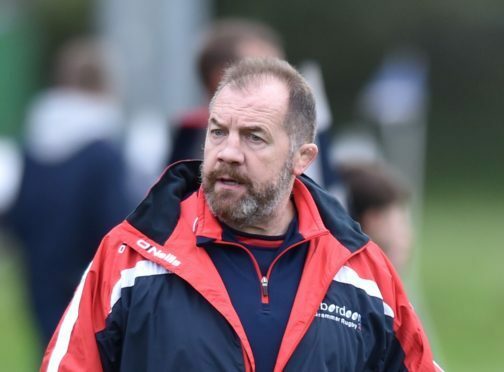 Kevin Wyness, who is working with the Caledonia Academy after spells at Aberdeen Grammar and elsewhere, is concerned about the region’s lowly place in the Scottish pecking order. He fears the situation may grow even worse with the absence of any clubs north of Stirling in the Super 6 structure next season. Ayr, Boroughmuir, Heriot’s, Melrose, Stirling County and Watsonians were chosen by Scottish Rugby to compete in the new competition. But there are fears this will weaken the standard outwith the central belt and the Borders. Wyness said: “I don’t think there are too many clubs in the city or shire, but they are all of a similar standard. With the best-placed team in the area (Aberdeen Grammar) being in National 1, many ambitious players will head to Edinburgh, Glasgow or Stirling to get the opportunity to play Premiership, or Super 6 rugby. Wyness has grown frustrated with the lack of dialogue between the many different organisations in the north and north-east of Scotland. He is convinced that the only way to grow the sport is to set aside traditional rivalries and form new partnerships. He added: “I admire the efforts Highland RFC have put in. They have outstanding facilities and a real drive to develop the game with investment in players and coaches. “They have a development officer, are advertising for an assistant DO, have links with the H&I University for rugby/sports courses and have male and female players at all ages. Jim Rae, the honorary president of Aberdeen Grammar, said he was in broad agreement with Wyness. Gordonians coach, Ryan Morrice, added: “If other clubs want to sit down and discuss how we can move things forward, I’m more than happy to be involved.